The murder of 49 people in Christchurch has been called the most shocking livestream in history. That it is, but the lesson from this outrage has become more urgent than to pearl clutch over the inbuilt fault line of social media and the lamentable, possibly wilful failure of its masters to properly contend with their responsibilities. For the terror attack in New Zealand has also exposed what has become the most dangerous political current in the contemporary world - ethnic nationalism - which thrives in this social media age, but which must surely be confronted and defeated. Ethnic nationalism is the master concept of the so-called radical right, which positions its brand of nationalism as different from that of the mainstream right in its radicalism or far-reaching and fundamental nature. Its obsession remains with the dominance of the main ethnic group, however, and a longing for homogeneous nations and states. This form of nationalism is often populist in tone; is indebted to direct rather than representative variants of democracy and in some cases is ambiguous about its relationship to fascism, Nazism, collaborationist regimes, or the Holocaust. And this form of nationalism has also embraced Islamophobia. The political upheavals of the 'Arab Spring' and other destabilising factors in the Middle East, such as the civil war in Syria and the emergence of the so-called Islamic State, which has given rise to mass migration or what is called an 'immigration crisis', has fostered populism against migrants, refugees and minorities in general. This has established itself mostly in Europe, including not far below the surface in Ireland as a cursory glance around the internet would attest. Compared to their European counterparts, Australia and New Zealand were, for the most part, spared the rise of powerful extreme-right movements, and at times appeared immune to their appeal, although political parties such as Australia's anti-immigration, anti-multiculturalism One Nation have emerged. 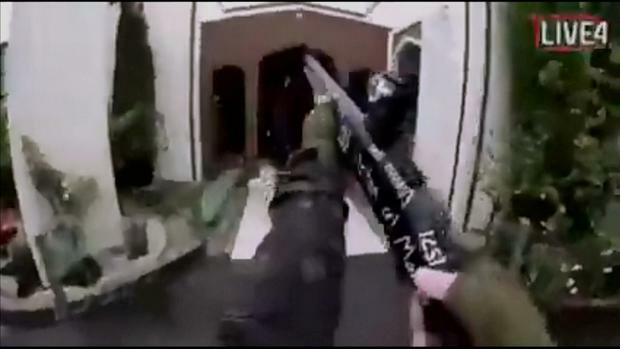 The shocking events perpetrated in New Zealand by an Australian man show us how the whirlwind is reaped. The Minister for Foreign Affairs, Simon Coveney, in standing Ireland in solidarity with the people of New Zealand, has said that freedom of religious expression is a cornerstone of any functioning democracy and that those rights must be guaranteed for all citizens. In calling for prayers in Ireland this weekend for the victims of the attacks in New Zealand, Bishop Kevin Doran has said that it is just as unacceptable to speak and write in racist or sectarian terms against Muslims as it is to in similar terms about Christians. At another level, he said, there are serious questions to be answered, including in our own society, by those who unjustly blame the entire Muslim community for the extremism of some. In different yet complementary ways, international terrorism and the global financial crisis have played straight into the radical right's agenda. Since the turn of the new millennium, the Islamophobic rhetoric of the radical right has become more and more pervasive, more radical in content, more extreme in scope, and more potent in reach. In Ireland, as elsewhere, its language has almost become the language of the every day: invasion, flood, influx, flow, barbaric, misogyny, patriarchy, welfare, benefits, unemployment, uneducated or burden. An image of Islam as a totalitarian political ideology rather than as a peaceful religion, and of Muslims' intolerance of other religions is created. As we stand in solidarity and prayer with the victims of New Zealand today, it behoves all of us to examine our conscience and use of language, and to always challenge and outright reject the reprehensible and dangerous tenets of ethnic nationalism.